This year I’ve been a real creature of habit when it comes to beauty and hair products; I’ve stuck to the same products for months until I either run out of it or find a better alternative completely by chance. I guess life as a mum of two toddlers leaves me with very little time to play around with makeup like I used to, so things have been a lot more streamlined. I’ve even managed to nail a 3 minute everyday makeup look, which is as much time as I have to get ready in the morning before the school run. Needs must! 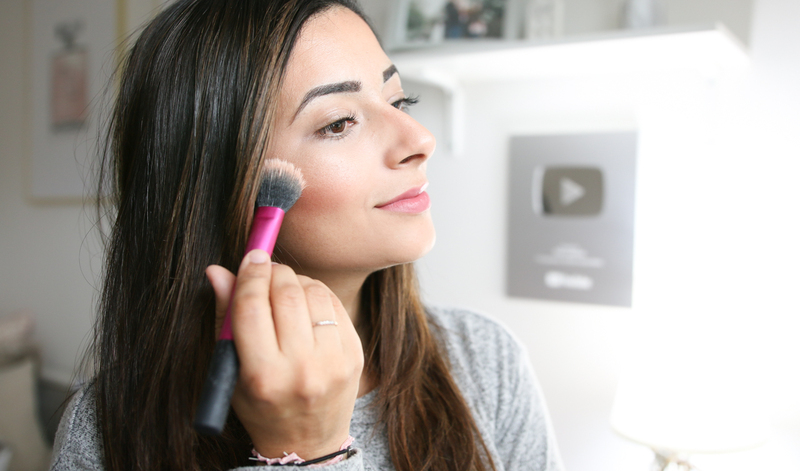 So today I thought I would share my top 5 beauty products of recently and tell you a bit why I love them. I do apologise for the state of these products; they are very well loved! Some of them have been used every single day for the last 6 months, can you believe? 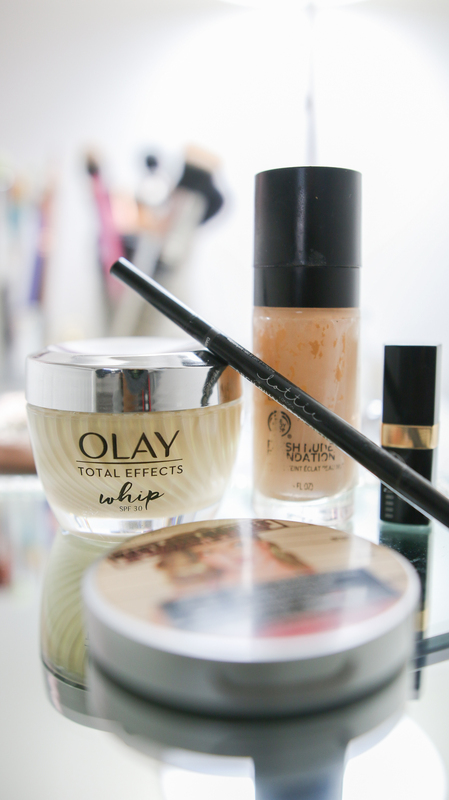 Before I discovered Total Effects Whip, I used the original Olay Total Effects Moisturiser the entire Summer. It felt so lovely and nourishing on my skin and it worked beautifully as a base for makeup, with the added benefit of having 7 skincare benefits in 1 and SPF 30 built into it. 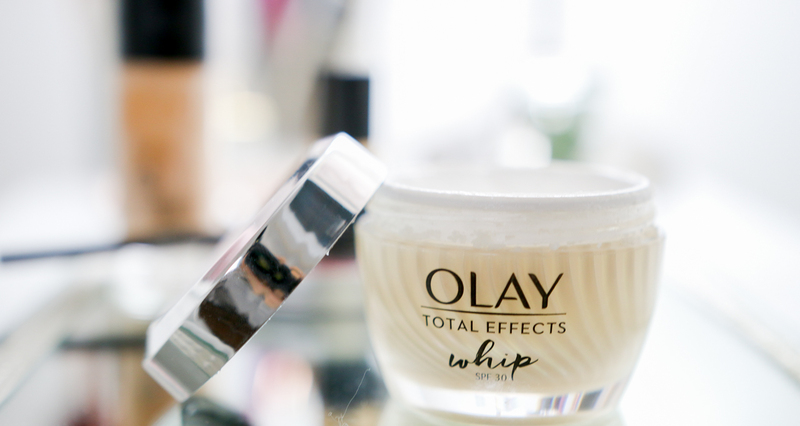 The one thing I didn’t like about the original Olay Total Effects was that it took a couple of minutes for it to set into my skin, so when Olay released the Total Effects Whip, I felt like I’d hit the skincare jackpot! The main difference between the two of them is the texture; Whip is a lot lighter and fluffier, whilst the original Total Effects is quite thick and creamy. When I apply this to my skin it gets absorbed so quickly I don’t even notice I have moisturiser on, but my skin feels velvety soft. I’ve done a video talking about my skincare secrets if you fancy a watch, and in that video I share how my skin is at its best now in my 30s than ten years ago. If you know me at all, you know how much I’ve adored my Giorgio Armani Luminous Silk Foundation for many years, but this year I was getting a bit tired of the matte finish and slightly fuller coverage that it gave my skin. So, through the recommendation of my friend Lucy Carter, I decided to try this foundation by The Body Shop and I’ve never looked back! It’s a light to medium coverage hydrating foundation with a semi-matte finish which leaves the skin looking fresh and very natural. This is the first foundation I’ve ever tried that gives me enough coverage without looking at all like foundation on my skin. It blends beautifully with a makeup sponge, evening out my skin tone and blurring imperfections. I love that I can still see my freckles and my skin’s natural glow. It has SPF 15 and it comes in 16 shades with a great range between light and dark skin tones. I’m going to do an in depth review of this foundation soon, so I won’t go into the details about the formula and skin care benefits here; all you need to know for now is that this is one of the best foundations I’ve ever tried – ever! Hands down the best highlighter I’ve tried! Better than Hourglass, Mac, Benefit; it’s just amazing. 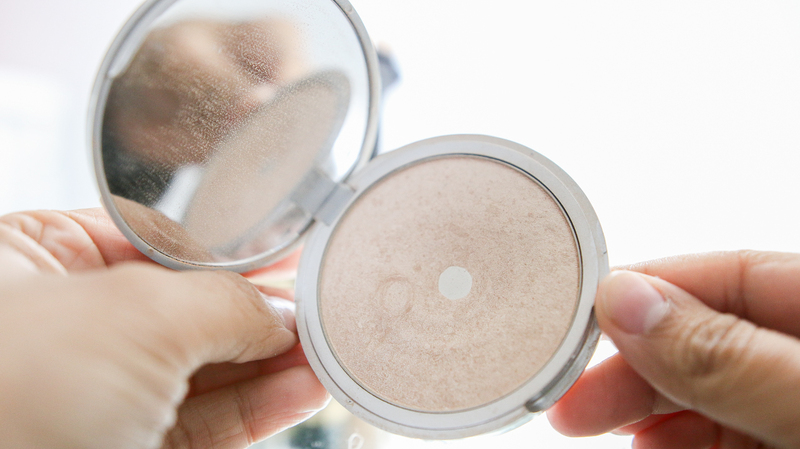 It’s not chunky or powdery, it’s just the right texture add a beautiful glow to the skin. This highlighter, unlike many others I’ve tried, is so pigmented that only need to swirl my brush around once to get enough product. It really is stunning and I recommend it to anyone looking for a new highlighter to try. I can’t believe I’ve hit pan – that says a lot about how much I love it. Now this little beauty snuck its way into this post at the very last minute. I’ve only had it for a day but I can safely say it’s one of my all time favourite lipsticks. You had me at ‘hello‘! I got this in my John Lewis Beauty Advent Calendar, which was a lovely surprise. First of all, the shade. How stunning is it? 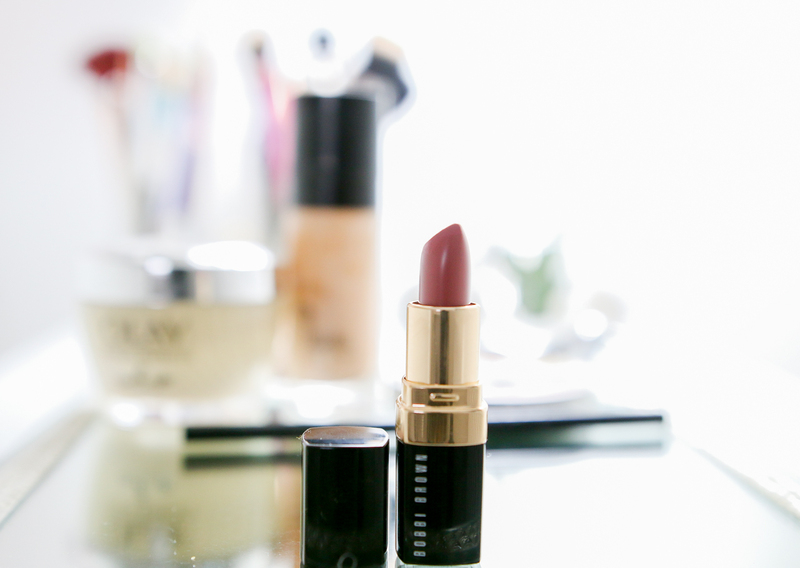 A muted rose shade that I find works really well with my medium olive skin colour. Then the semi-matte formula feels very comfortable on the lips, whist still having that modern matte lipstick look to it. It glides so easily on my lips and it’s full coverage with one swipe. See? I told you it deserves its spot here! My brows and I have been at odds the last few months; do you know when you keep trying to get them right but nothing works? That’s me right now. I’ve always been a fan of the Lottie London brow products, so when I ran out of my Arch Rival Volume Powder, I tried so many brow products and none of them were good enough… until I found the Arch Rival Brow Artist Pencil. 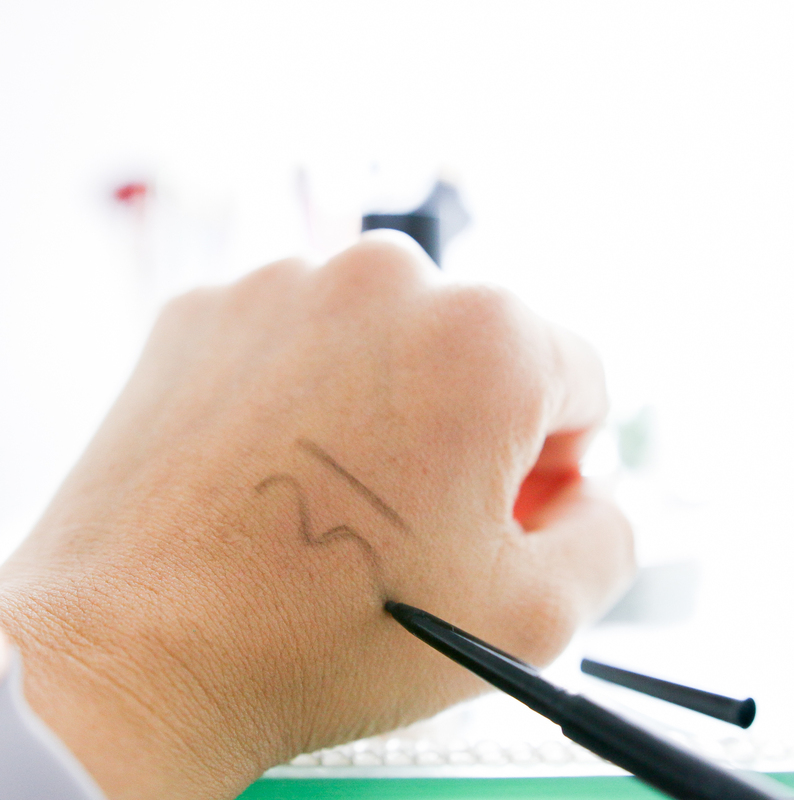 It makes filling in my eyebrows in the morning a much less boring task because it’s so quick and effective. The pencil is very fine but surprisingly pigmented and on the other side there’s a handy brush for taming your brows. I’m still not loving my brows at the moment, but I think using this product made them the best I’ve had in a long time. So, have you tried any of these products? 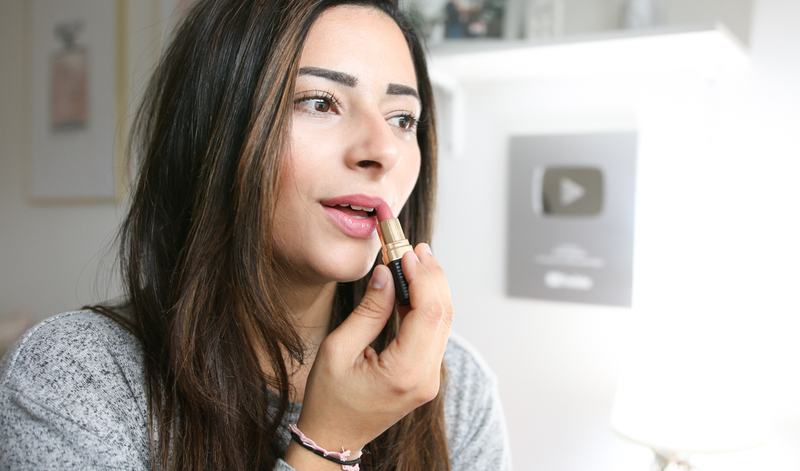 I hope you enjoyed having a look at my favourite beauty products of recently and if you have any questions, please pop them in the comments below or send me a message on Instagram.